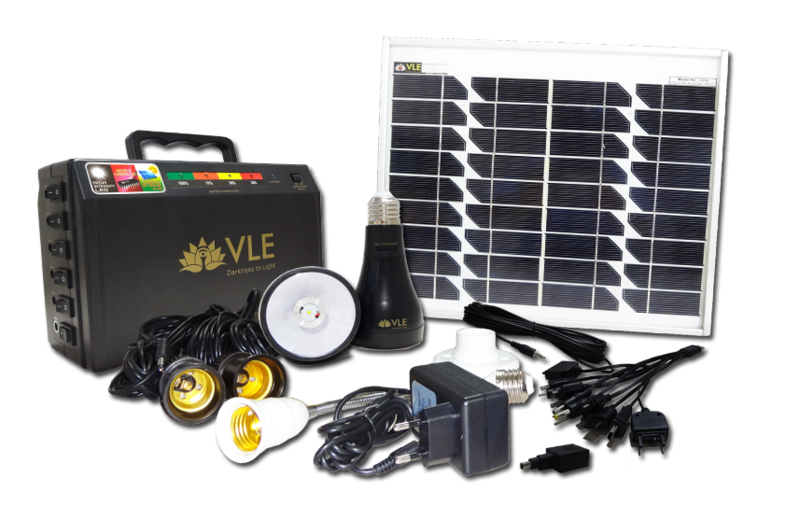 The real value of the FLS1 must be judged not just on the remarkable price, or the fact that the “Freedom Light (FL)” is among the brightest in today’s Solar Home Lighting Systems, but also because the system provides more than 12 hours of maximum light from a single FL, and that the Sealed Lead Acid Battery (SLAB) will continue to function for many years because of the low Depth of Discharge (DoD) that it has been designed to operate at, thus making life so much easier and predictable for the client. The system battery, electronics, solar panel and lamps are fully protected by auto-reset fuses which avoid the use of classic car type fuses which need to be physically replaced once they have been used a single time. The FLS1 has a reserve of energy which can be used for lighting or cell phone charging in emergencies, and a further feature will not allow the client to come home to an uncharged battery in the event that the lamps were accidentally left on overnight causing the battery to go to cut-off. The 15 Watt solar panel was deliberately chosen because of the rapidly increasing use of Cell phones throughout the Developing World (DW), and to give the client the confidence that they can have many hours of lighting, plus at least two cell phone charges, every single day if required.